Intelligent nameplates with QR codes. You can make your nameplate intelligent by applying it a QR code. The nameplate contains the visual data while the code refers to dynamic data which can vary and be updated. QR coding is an easily accessible technology. The reading does not require special equipment because the code can be read by the camera in most modern smartphones. The QR code can eg. link to a web address or an online database. Nameplates with QR codes offers the option of introducing electronic registration. The nameplate is often already present, and integrating the QR code means a good location for both the nameplate and the QR code. 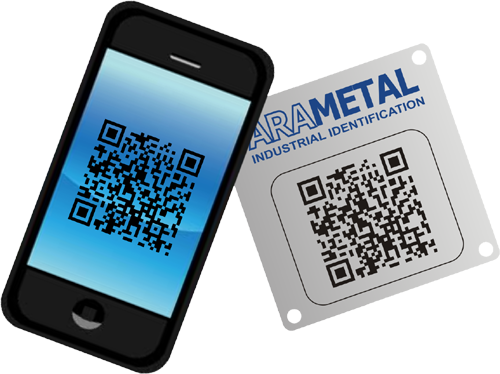 All our nameplate products can be combined with QR codes. You can find a broad range of QR software online. Some are for free and others are affordable at reasonable prices.